Moscow is a city filled to the brim with history and culture as well as numerous leisure and entertainment possibilities. Mamaison All-Suites Spa Hotel Pokrovka is situated in the historic Basmanny district on Pokrovka street, the perfect starting point for sightseeing tours. Thanks to its central location the most popular attractions such as the Kreml or Red Square are just a 30 minute walk away. The Nikolskaya pedestrian zone (approx. 2.5 km away) with its historic buildings, luxury stores, restaurant, cafes and bars can easily be reached by car or public transport. Theatre and music enthusiasts absolutely shouldn’t miss the opportunity to visit the Bolshoi theatre (about 2.5 km away). 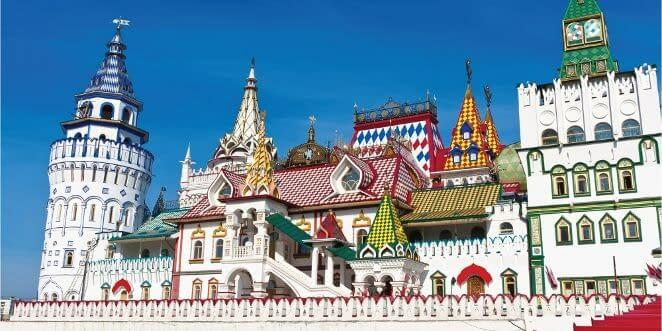 St. Basil’s Cathedral, also 2.5 km away, is Moscow’s most symbolic monument and definitely worth a visit. The ideal destination for lovers of culture and entertainment is just 8 km away from the hotel. 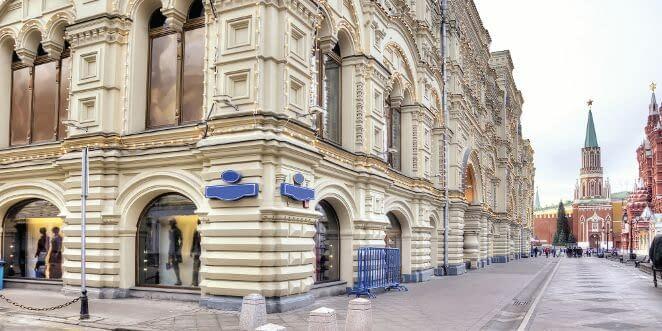 Experience first-hand the palaces decorated with Russian fairy-tale drawings, get a taste of national specialties in the bars, restaurants and cafes and take a stroll through the large market offering lots of souvenirs, clothing and accessories. The Nikolskaya (about 2.5 km away) connects the Red Square with the Lubyanka Square and is one of the largest pedestrian zones in Moscow. An endless selection of historic buildings, luxury shops, restaurants, cafes and bars are waiting to be discovered. 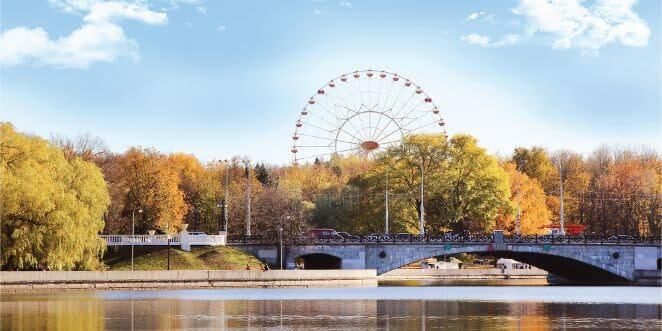 A special place with something for everyone: the famous Gorky Park is completely free and features Wi-Fi coverage, small lakes, playgrounds and sports facilities as well as a cinema. Throughout the year you’ll be able to participate in events, concerts and other activities. The park is also a favourite among locals who use this green oasis for picnics and long walks. In winter you can enjoy the skating rink. The park is located about 10 km away on the other side of the river.